Today, Dunkin’ Donuts is celebrating Global Donut Day, our first-ever worldwide donut celebration. 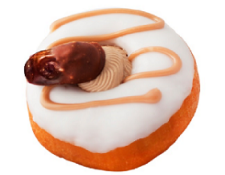 To kickoff this celebration, Dunkin’ Donuts is putting a spotlight on unique donuts available in its restaurants across the globe. With locations in many different countries, such as Colombia, China, UAE and Lebanon, local flavors and tastes provide an opportunity to create a variety of wonDDerful donuts for our guests to enjoy. The Emerald Custard Donut is a traditional Thai donut that consists of a soft yeast donut with Panden custard filling. Panden is a Thai herb that provides a unique taste and aroma that’s used in many desserts and drinks, and also is commonly used in savory dishes as well. Launched exclusively for the Thai market, the Emerald Custard Donut is one of the most popular donuts in Thailand as people enjoy donuts that incorporate local, traditional flavors. Lebanon is a chocolate loving country! 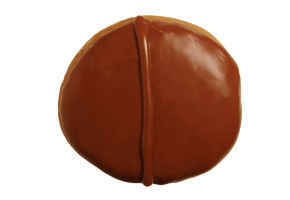 Second to the Boston Kreme, the Choco Duo Donut is one of the best-selling donuts in Lebanon. 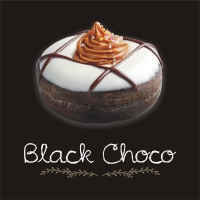 The Choco Duo Donut is filled with a delicious chocolate filling and chocolate icing on top. Donuts are a breakfast favorite for the Lebanese and DD donuts are mostly sold in the morning along with a cup of coffee. 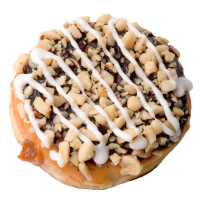 One of the most popular donuts in the UAE and Saudi Arabia is the Date Donut, which features either white or chocolate icing and topped with a date syrup drizzle. Dates are a staple fruit in the Middle East and they are incorporated into classic Middle Eastern dishes and in cultural traditions and customs. Dunkin’ Donuts guests in the UAE and Saudi Arabia are running on Dunkin’ at all times of day and donuts are consumed with coffee in the morning, afternoon and evening. In Saudi Arabia, Dunkin’ Donuts restaurants are especially busy during the evening when guests come in to relax and enjoy coffee and donuts while discussing news topics of the day. Peruvians are fans of filled donuts, especially with Bavarian Kreme and Manjar Blanco, a custard filling that is similar to a Dulce de Leche and made with milk, vanilla, and sugar. 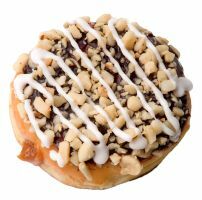 The Delirium Donut is filled with Manjar Blanco and covered with chocolate icing and pecans and garnished with a vanilla icing drizzle. To celebrate Chile’s independence from Spain, Dunkin’ Donuts restaurants in Chile offer the Copihue Donut throughout the month of September. 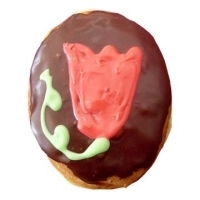 The Copihue Donut is filled with Dulce de Leche, a rich and decadent filling that is widely loved in South America, and covered with chocolate icing. It’s also decorated with a red flower known as the Copihue, which is the national flower of Chile and representative of the country for this special holiday. When it comes to donuts, Koreans have specific textural and flavor profiles that they enjoy. 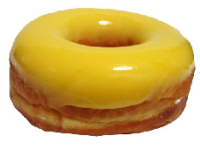 Korean customers prefer more light and simple donuts, while maintaining a higher level of chewiness. 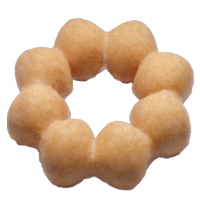 They are always on the go, so they prefer to have donuts that are the right size and shape and easy to carry while eating. To meet this criteria, Dunkin’ Donuts offers the Olive Chewisty, a donut that is made with olive oil and tapioca starch, to provide guests with a light and chewy texture that they can enjoy while they are on the go. In China, puddings, jellies and fruits are very popular ingredients and the Mango Pudding Donut, a Glazed Donut topped with a mango pudding, is a favorite for DD guests. Sweet and savory are other common flavor combinations and Dunkin’ Donuts restaurants in China feature donuts with flavors such as pork and seaweed. Since chocolate is one of the most popular donut flavors in Bulgaria, the Chocolate Bavarian Kreme Donut offers guests chocolate in two different ways – with icing and filling! 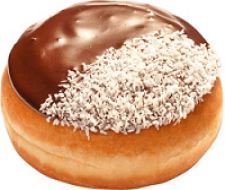 This glazed donut has two fillings, Bavarian Kreme and Chocolate, and is topped with chocolate icing and sprinkled with coconut. Bulgarians like donuts so much that they are eaten throughout the day and many times purchased by a half-dozen or dozen to share with co-workers, friends and family. While saffron may be more commonly associated with savory dishes like paella and rice, you might not know that it is also delicious when used in baked goods. 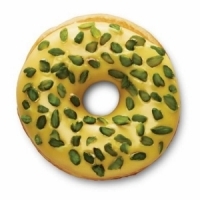 In India, Dunkin’ Donuts guests enjoy this savory, bright yellow hued spice in a Saffron Pistachio Melody Donut, featuring an icing infused with freshly extracted saffron water and topped with pistachio nut pieces. For an afternoon treat, Colombians enjoy rich, chocolate donuts and Dunkin’ Donuts Triple Chocolate Donut is the perfect fit for this flavor profile! 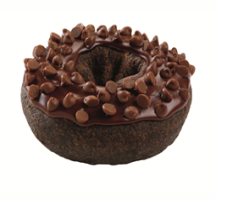 The Triple Chocolate Donut is a Chocolate Cake Donut covered with DDelicious chocolate icing and topped with milk chocolate chips. Over the past several years, there has been an emerging love of chocolate in Indonesia and more and more people are indulging in quality, luxury chocolate. For those chocolate cravers, Dunkin’ Donuts restaurants in Indonesia offer its guests the Black Choco Creme Donut, a Chocolate Glazed Donut filled with cream, topped with vanilla icing and decorated chocolate drizzle. To celebrate the summer season in the United States, Dunkin’ Donuts unveiled new Summer Fruit Donuts that are available in two fun fruit flavors: Lemonade and Key Lime. 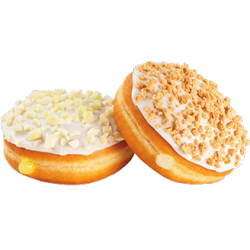 The Lemonade Donut features a yeast shell filled with lemon flavored filling, frosted with white icing and topped with lemonade bark. 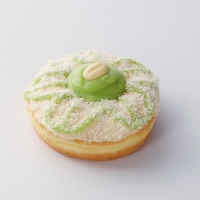 The Key Lime Donut features a yeast shell, filled with key lime flavored filling, frosted with white icing and finished with a graham cracker topping. Both Donuts are DDelicious! Which one of these Dunkin’ Donut wonDDers would you like to try? Tell us on Facebook and Twitter!